Roland is the boy on my shoulders pulling my hair. The other one is Edwin. This picture was taken on 1st September 1995 when Edwin was three and a half and Roland one and a half. 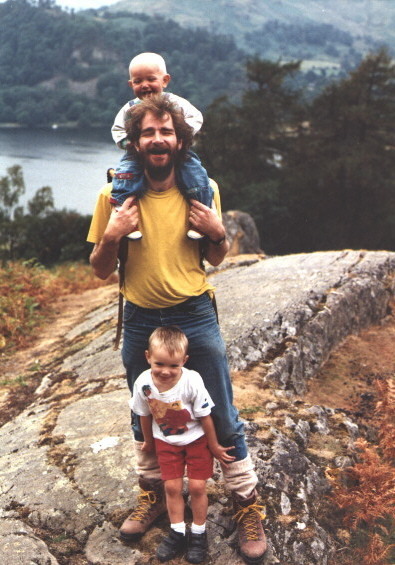 The location is the Lake District -- the lake in the background is the southern end of Ullswater.